At Renaissance Asphalt Services, we’re proud of what we do. We’re talking about everything from asphalt patching and paving to repair and maintenance, of course, but we’re also talking about something more. Did you realize that asphalt pavement is more than just a construction material? That’s right, asphalt is a community asset in more than one way, regularly bringing benefits to your local area that you may not have even considered. And seeing as it covers nearly 95 percent of all roadways in the US, it’s affecting communities positively literally around the country. Let’s look at some of the key ways asphalt helps your area. Asphalt helps millions of people get to and from work every day, but it also helps create this work for millions more. Per the National Asphalt Pavement Association (NAPA), nearly 28,000 jobs are created for every $1 billion of government spending earmarked for highway construction – and that’s only for highways, not other types of roads. When asphalt needs to be put down, jobs open up to get it done. Asphalt is by nature a recycled material – it can be used numerous times using the standard heating process that goes into its production in the first place. This means that asphalt removed from previous job sites can be transferred 100 percent into new applications, making it one of the most environmentally friendly products out there. Not only is this beneficial for the planet, it’s good for a business’s bottom line. Green asphalt can improve waterway qualities and reduce surface flooding in wet areas, plus may offer significant tax breaks. It’s also considered safer, and is often easier to install. In a climate like Utah, where the temperature can swing from sweltering summer heat to frigid winter cold, road materials that are durable regardless of how it feels outside are vital. Asphalt is known to outperform concrete in cold weather due to its adaptability – concrete is prone to frost heaving, which happens when the ground swells upward during the freezing soil period. Not only does asphalt avoid these issues, it also absorbs more heat from the sun. This causes it to melt ice and snow faster than concrete when it’s down, which in turn improves the safety of your driveway or walkway. Open-graded asphalt pavement has been known as “quiet pavement” in the industry for years due to the way it suppresses noise. This asphalt is made using significant air voids, which absorb some of the energy created by tires contacting the road and lower the amount of noise produced. Open-graded asphalt is known to reduce highway noise by between 3 and 5 decibels. When you consider that a standard conversation between people is at about 65 decibels and normal concrete city traffic produces around 78 decibels, you realize how soft asphalt can make things – it can lower traffic to barely above conversation level, which is fantastic for keeping the community quiet and relaxed. 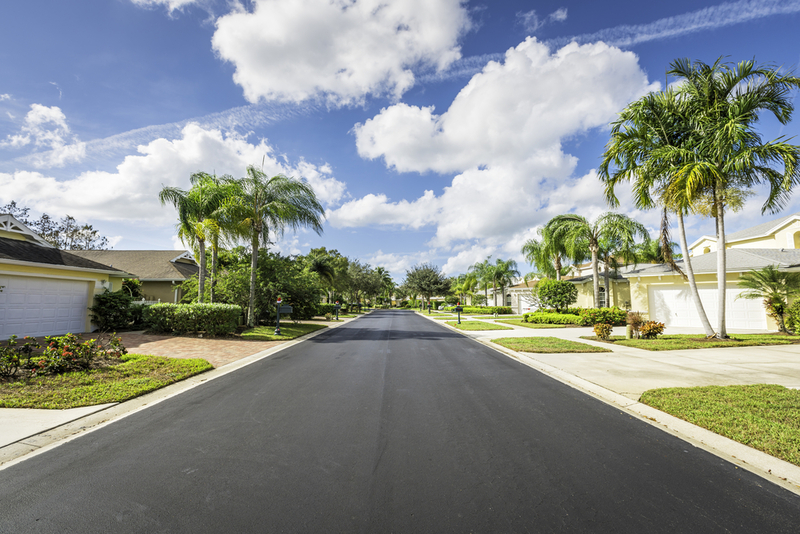 For more on why asphalt is beneficial for the community, or to learn about any of our asphalt paving services, speak to the pros at Renaissance Asphalt Services today.